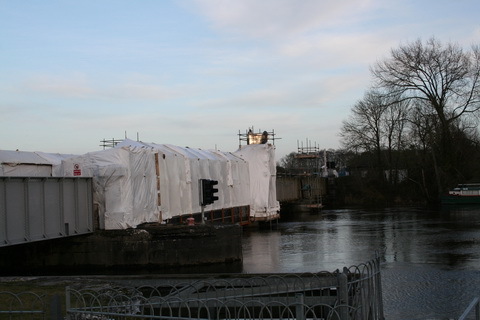 A few photos of the work in progress (even on a Saturday evening) at Portumna Bridge. 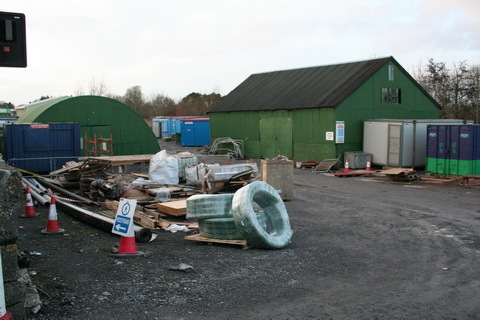 Photos taken on 19 February 2011. 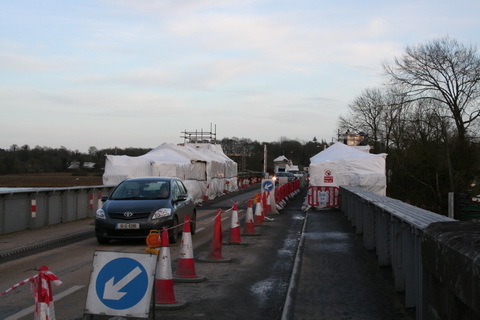 There was one-way traffic over the bridge, well signposted, controlled by traffic lights. 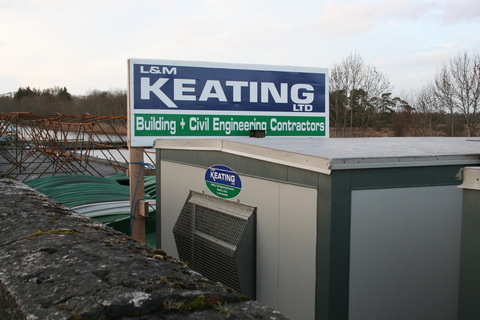 L & M Keating replaced the swinging navigation arch in November 2008. Now they are shot-blasting and painting the steel walls of the rest of the bridge.